Our goal is to help ensure the ongoing health of your pet. Just like us, pets have specific needs and recommended preventive care during the different stages of their development and lifetime. A wellness plan outlines recommended care such as vaccines, checkups, dental care and more. 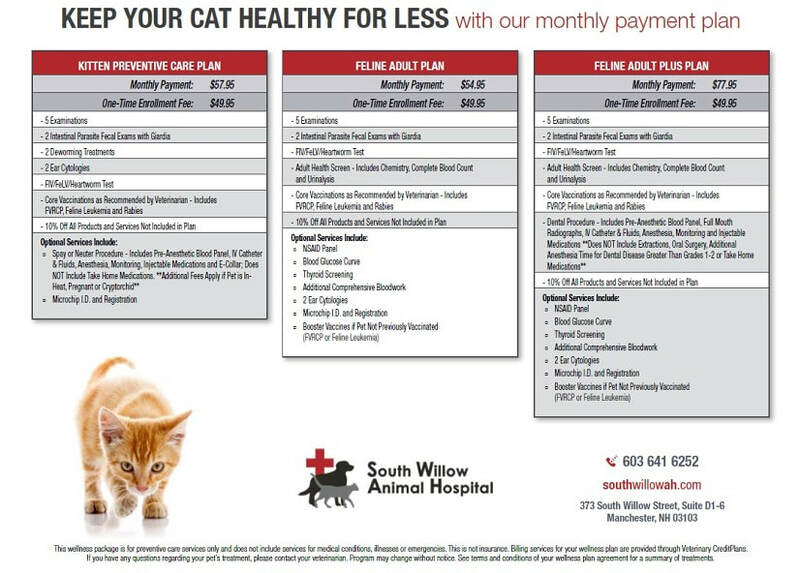 Just as important, it allows you to budget and plan your pet’s ongoing health care needs. Helping provide a happy, long and healthy life is the basis for selecting a wellness plan. Preventive care is also a proactive way to help identify and recognize potential health issues early. Some breeds of dogs and cats have predisposition to certain health issues. Monitoring and catching potential signs can simplify treatment and save you money. We offer a variety of plans, each designed to meet the specific life stage needs of puppies, kittens, active and senior dogs and cats. 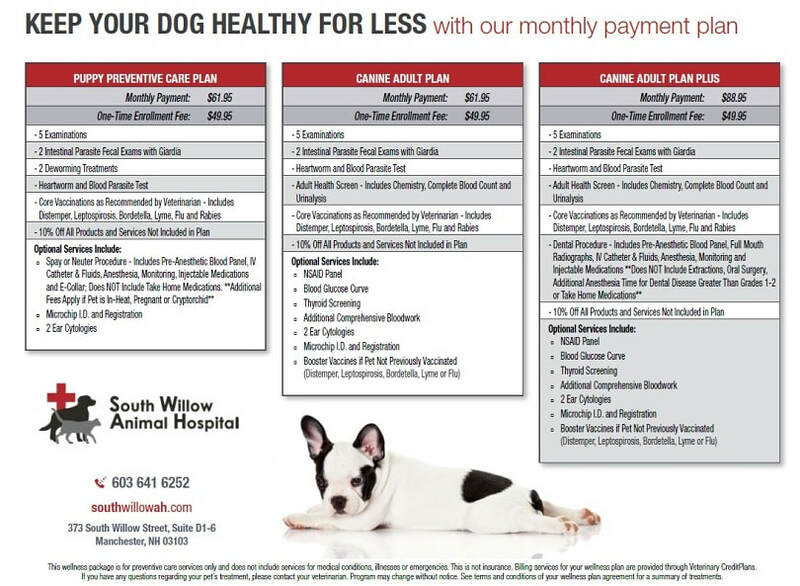 While some elements of the plans are similar, we have the ability to personalize the plan to meet the specific needs of your pet.